Caerwent Roman Town, Monmouthshire, South Wales, Part 1. OS Grid Reference: ST 4692 9062. The Roman town of Venta Silurium, founded by the Romans in 75 AD, is now the modern village of Caerwent in Monmouthshire, and is located just to the south of the A48 road and just west of the M48. It is 5 miles west of Chepstow and 11 miles east of Newport. The modern village is built around the Roman ruins, which are some of the best preserved in Europe. Large sections of the Roman town walls are still in place, according to Wikipedia. The River Severn is a couple of miles to the south. In the village is the medieval church of Saints Stephen and Tathan, an ancient foundation which may date back to the early 6th century AD? Housed in the church porch are two Roman inscribed stones. The Roman legionary fortress of Caerleon is 8 miles to the west. 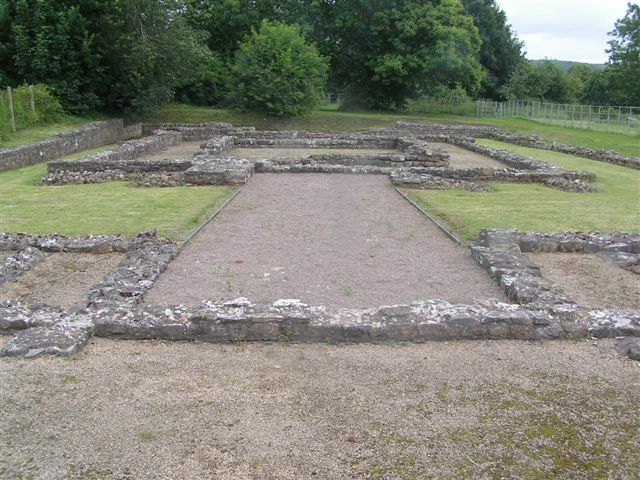 Under the Romans Caerwent was known as Venta Silurium (Silurum) or in translation ‘market of the Silures’. The Silures had been an Iron Age tribe occupying south-east Wales and had presented an irritation to the conquest for the Romans. In the early days of the invasion they had sheltered the Romans’ public-enemy-number-one, Caratacus, until he fled to what he thought was the safety of Cartimandua’s Brigantines. She handed him over to the Romans, a good will gesture the Romans would not forget. Gradually following the establish-ment of the legionary Fortress at Caerleon around AD 74 and a series of auxiliary forts across the south – the Silures were subdued. In accordance with Roman Policy of Pax Romana once subdued the Silures were encouraged to settle, although for a time they remained under military rule. The cost of military rule was enormous so it would not have been long before a civil administration would have been established. The administrative capital Venta Silurium was sited astride the mainroad from Gloucester to Caerleon. The town sits on a slight rise in the middle of a valley surrounded by good agricultural land in an area that had been occupied by the Romans since AD 50. 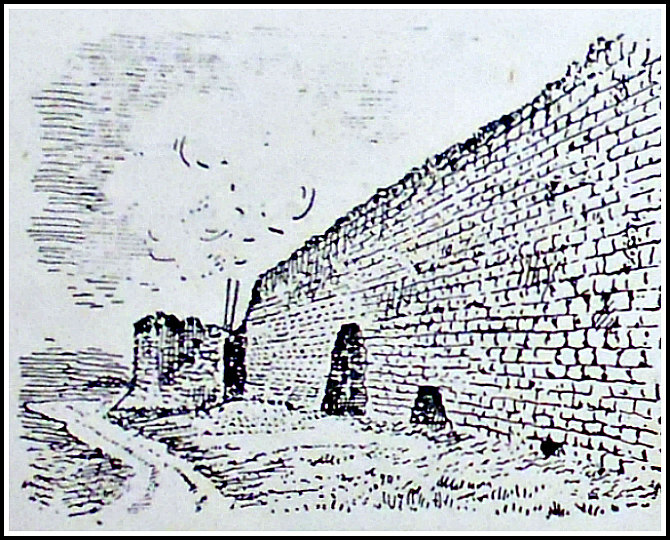 Caerwent Roman Town Walls (Illustration). The Extant Remains: The total circuit of the wall exceeds 1 mile en-closing an area of 4 acres divided into 20 plots (insulae). 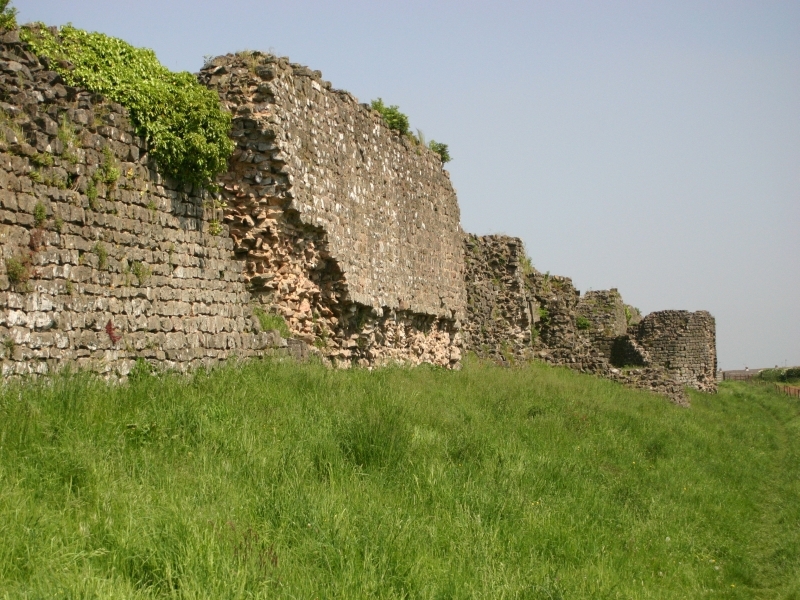 The walls are the best preserved of any Roman town in Britain. The internal and external roads would have been of rammed gravel with cambered sides to allow rainwater to run off; and the local civitas (administration) was responsible for repair and resurfacing. The early settlement appears to have had a sprawl of properties along the main road. But the layout we see today is later, possibly even as late as the early third century, which might account for certain oddities – the walls are not square – the insular somewhat jumbled. The actual population was probably about 3800 individuals at its height. Public buildings are of the standard Roman variety. A Forum Basilica complex occupied the whole insulae VIII; the site of several temple complexes are known and one is visible to the east of the Forum Basilica, another has been excavated to the south in insulae XII, and a third is possible outside the east gate. Whilst the largest houses show evidence of private baths. Public baths have been excavated in insulae XIII. A mansio which was a kind of inn frequen-ted by members of the Postal Service and other officials has been located in insulae XVIII to the left of the south gate. This was a courtyard building with a forecourt where the weary traveler would have dismounted. Several rooms had hypocausts, at least one having a mosaic floor. A latrine lay in a corner of the courtyard surrounded on three sides by a sewer, suggesting the building was not just a domestic building. Caerwent Roman Town Wall by MortimerCat – Wikipedia). The Town Walls: The town had 4 gates. The main ones were the West and East gates opening onto the town’s main thoroughfare. The West Gate originally had a double arched carriageway flanked on either side by a square tower projecting out in front of the wall. Little now survives except part of the south tower and its masonry floor. The west wall, however, built of limestone running from the west gate to the south-west corner survives in places to a remarkable 5 metres (17 feet) and is backed by an earthen bank. From these remains the wall is believed to have been about 7.5 metres in height (25 feet) with a walkway and parapet – none of which survives anywhere along the wall. The wall would also have been originally vertical on both sides. But the method of construction can be determined from this section of the wall. Rows of limestone were laid front and back and the core then filled in with more pieces of limestone and mortar leaving a distinctive herringbone pattern. The wall was clearly built in sections and by different gangs. Unlike the West Wall the South Wall is not completely straight but bows outwards in its middle section. It also stands to a magnificent 5m (17 feet) in parts. Also, unlike the West Wall the remains of six hollow 5-sided towers (bastions) project from the walls but not bonded to the wall – meaning they are later additions probably 4th century. A new outer ditch had to be made to allow for the towers. The fourth tower from the west is the best-persevered standing to a height of 4m (13ft). Internal joist holes in this tower suggest there were originally two wooded floors beside the ground floor with a top platform also of wood. The South Gate consisted of a single arched carriageway. The piers survive and may originally have supported an overhead chamber. Both sides of the passage were originally recessed allowing the heavy doors to swing back. The carriageway was made up of stones and iron clinker with a slab-lined culvert. At a later date the carriageway was blocked. The East Wall is also bowed. As with the West Wall there are no external towers. Sadly all that remains of the East Gate, which was constructed the same as the West Gate is the inner angle of the south tower. The East Wall is some 30m shorter than the west wall so avoiding a marshy area and taking advantage of higher ground. The North Wall is the least well preserved of the four walls. Surviving to just 1.8m (6 feet) in height in parts but it is known that, like the South Wall, it had 5 towers of which little sur-vives. Like the South Gate the North Gate is not centrally placed though the plan is similar with a single carriageway. Sockets for the gates can still be seen. Again and probably in the late Roman Period the North Gate was blocked off – being filled in with rubble from other demolished buildings. The North West Tower of the gate survives to a height if 2.4 metres (8 feet). The Romano-Celtic Temple: The remains of the temple lie to the east of the forum. Excavations were begun in 1908 and concluded between 1984 and 1991. No trace of the deity worshiped here was found. The construction was of traditional Romano-Celtic design. The extant remains show a square inner shrine (cella) with an unusual back projection surrounded by another separate room known as the ambulatory. This would have contained a statue of the deity. The entrance porch would originally have had steps, whilst the small projections at the entrance are probably the bases for pilasters (rectangular columns). The temple stands in its own courtyard surrounded by a boarder wall on 3 sides and an entrance hallway with a central doorway and a tessellated floor on the fourth side facing the main street. Few people actually entered the cella; most of the congregation would have been expected to gather in the courtyard between the hallway and the temple proper. The Forum Basilica: A central feature of all main roman towns wherever you went in the Empire was the Forum Basilica essentially an administrative assembly hall and market place. The Caerwent example occupies the whole of insulae VIII. Building began in the early second century probably under the auspices of the 2nd Augustan Legion based at Caerleon, as the design is similar to that of the headquarters building there. It was largely rebuilt in the third century probably after structural problems were identified. It continued in use as a forum basilica until after 340 AD when it seems to have been converted into industrial units and was demolished at the end of the 4th Century. It was first excavated in 1907 and again between 1987-1992. The Basilica and the northern end of the forum remain uncovered for public view. The basilica was 56m (182ft) by 80m (260ft) and would have towered over surrounding buildings but is small by other examples in Roman Britain. Access to the basilica was by steps some of which have survived. There was also access from the side streets. In plan the basilica comprises a great hall, and a rear range of rooms and chambers. On excavation the parts of the walls were found to have survived to 1.8m (6 ft) having been incorporated into early 19th Century farm buildings. The external walls were massive requiring foundations up to 1.8m (6ft) with Corinthian columns rising to a height of about 9.2m (30ft) rendered and painted off-white. It is believed the basilica was in excess of 20m (65ft) in height. The roof initially of tile was partly replaced by sandstone slabs at the end of the third century. The hall would have been used for public meetings and ceremonies. The chambers at each end would have served as tribunals for the local magistrates to hear cases. The rear ranges of rooms were offices for local administrators and their records, while the central room would have held a statue of the reigning Emperor, and the largest room known as the curia would have acted as a council chamber. The Forum is surrounded on 3 sides by a range of rooms entered on the fourth side from the main street through an archway. These rooms would have provided space for shops, taverns and offices, with a larger open front that would have been closed with wooden shutters. A second storey above would have provided yet more rooms. 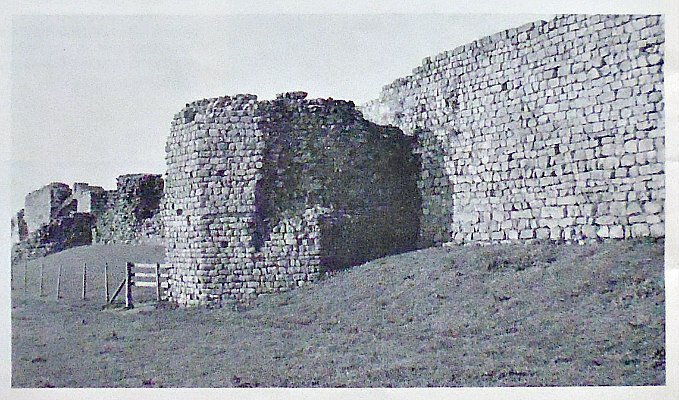 Brewer, Richard J., Caerwent Roman Town, Cadw Welsh Historic Monuments, 1993. Evans, J. Barrie, The Parish Church Of St. Stephen & St. Tathan Caerwent – A Short Guide. Categories: Ancient Churches / Chapels, Roman Sites, Roman Temple | Tags: Caerwent Roman Town in Monmouthshire South Wales Part 1 | Permalink. I visited this site in 1992 when the Forum/Basilica was being re-excavated. The visible remains are amazing the town walls standing to almost full height in places. It is a shame that so many of the internal buildings were robbed out in later ages. This is the case with much of the remains of Roman Britain. We are lucky to be left with what still remains and that these are now treated with the respect they deserve. Great write up looking forward to Part 2.